On the third day of our week in Cornwall in June 2o16 we decided to visit Saint Michael’s Mount, which has been described as ‘the most famous of Cornwall’s landmarks’ (National Trust). I have to admit it’s a great place to visit. It’s a lovely walk up to the castle and there’s plenty to see inside it once you get there, with fabulous views out across Mount’s Bay from the roof terraces. The Church of St Michael and All Angels, built in 1135, also stands on the North Terrace. For visitors more interested in gardens, the terrace gardens that adorn the steep island slopes are a delight and full of colourful and exotic blooms. From Newlyn (near Penzance) where we were staying we had a relatively short drive, compared to our drive up to Tintagel the previous day. That meant we could get there nice and early. Wikipedia tells us that the Cornish name for St Michael’s Mount is Karrek Loos yn Koos, which means hoar rock in woodland, or literally the grey rock in a wood – an appropriate description for a granite crag that rises 221 feet above sea level (not including the buildings at the summit).Wikipedia also tells us that St Michael’s Mount is one of 43, unbridged, tidal islands that people can walk to around mainland Britain. 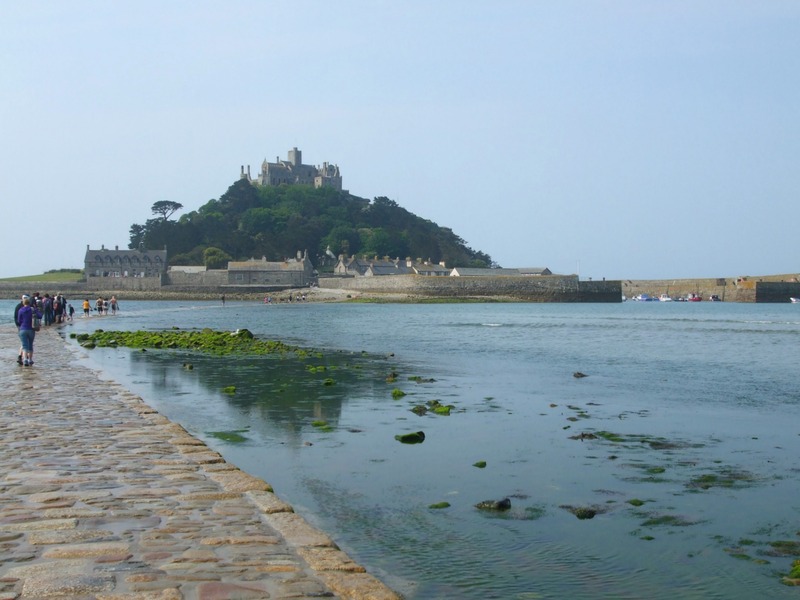 Located in Mount’s Bay, the isle is just 500 metres from the mainland and linked to the town of Marazion by a causeway which is passable between mid-tide and low-water. 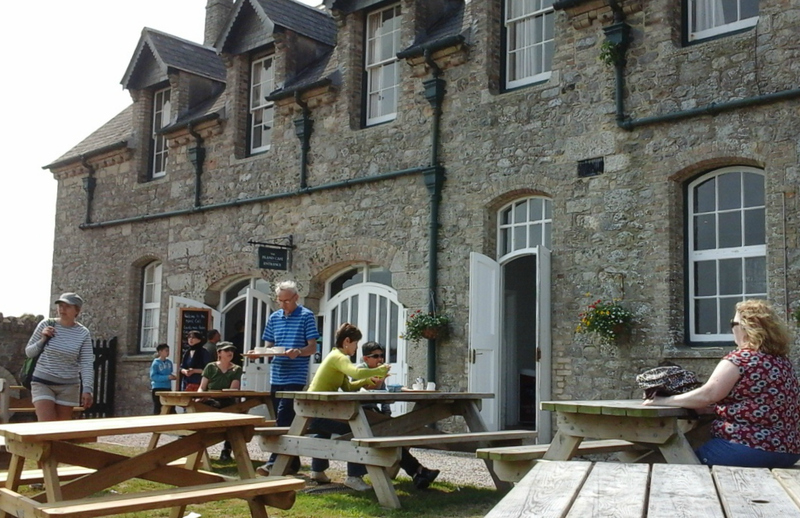 It is managed by the National Trust and the castle and chapel have been the home of the St Aubyn family since around 1650. The island also had a population of 35 in 2011. 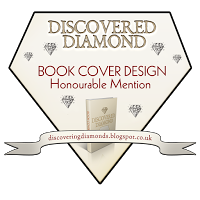 Part of the island was designated a SSSI (Site of Special Scientific Interest) in 1995 because of its geology. We had planned to walk across to the island, but if the tide had been in we’d have taken the boat. As it was, the tide was on the ebb, so we just had a short wait on the causeway until it went out. As to be expected, some people couldn’t resist paddling as the water became shallower but, not wanting to spend the rest of the morning in soggy jeans, we waited. People wading across the Causeway before the tide was completely out. Eventually, the tide ebbed and we approached the island. The church and priory at St Michael’s Mount were built in the 12th century but the priory was destroyed by an earthquake of 1275 and rebuilt in the late 14th century. 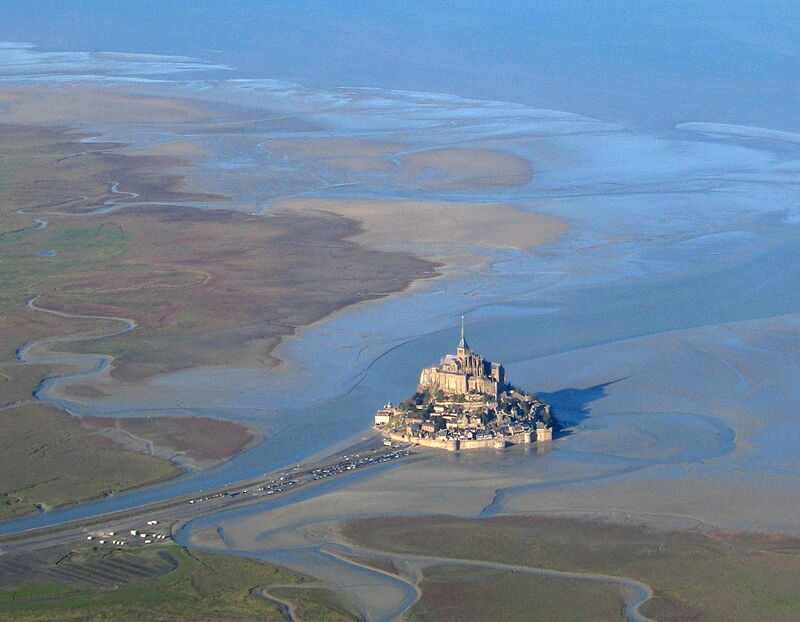 The priory’s association with the abbey at Mont St Michel ended in the 15th century during the war in France in the reign of Henry V. The priory was later given to the Abbess and Convent of Syon in Middlesex and the building still forms the heart of the castle today. 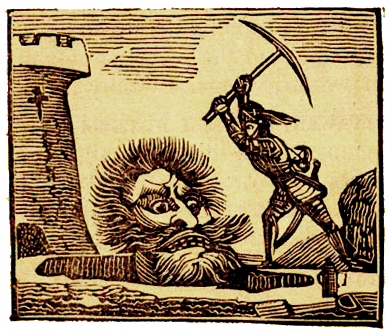 There is also some fascinating folklore and legend connected to the island, including that of an 18 foot giant called Cormoran who lived in a cave at the top of the rock with his ill-gotten treasures and terrorised the people. 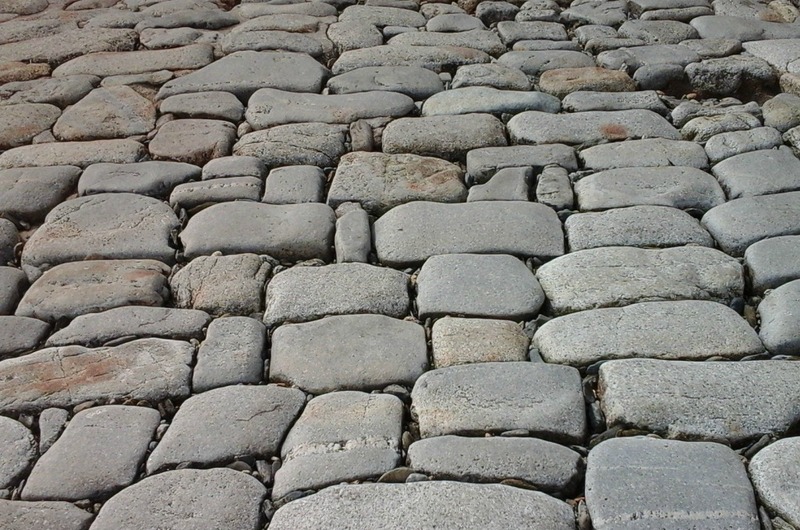 Along the cobbled path towards the dairy. The Victorian dairy. For 25 years until 1909, a small herd of Jersey cows were kept on the Mount to supply the isanders’ needs. Inside the house there are several rooms to view, all with lots of history behind them. The Wars of the Roses and the Civil War feature strongly but there are pieces of furniture and a whole host of artefacts from various periods. I can’t possibly do justice to the many interesting pieces or the different rooms here so I’ll just share a few of the photos. The coat of arms is in the Entrance Hall. Chevy Chase, originally the refectory for the priory and still a dining room for the family. I’ll share some photos of the exotic terrace gardens in another post later on. This looks incredible! I have always wanted to visit Saint Michael’s. It is on my bucket list for sure! It’s well worth a visit, if you’re ever in England, Courtney. 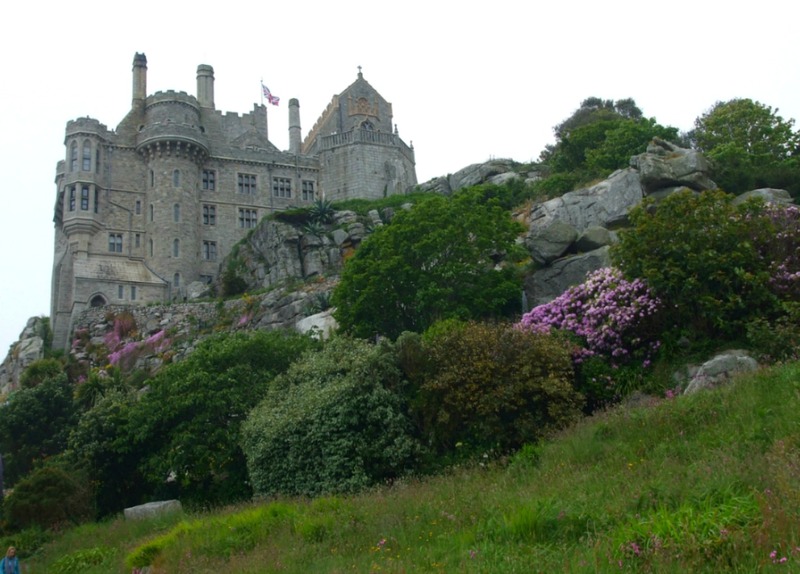 There are many lovely sites in Cornwall and along with Tintagel and the Eden Project, St Michael’s Mount is one of the most well known. The terrace gardens are lovely. Magnificent photos. I am drooling over the library. And the stained glass….such a beautiful church. The library is a lovely room and the ceiling in the room called Chevy Chase is gorgeous. It’s also worth the trek up to the castle for the views back to the coast. The church is pretty and very old but there were a lot of people in there on the day we visited, which made photography difficult. Most sites in Cornwall get pretty crowded, especially in the summer. Lovely to see you here, Pleasant Street! I’ll be over to read some of your posts very soon! The tide was in when I arrived and out when I left, so I got to take the little boat and walk back. 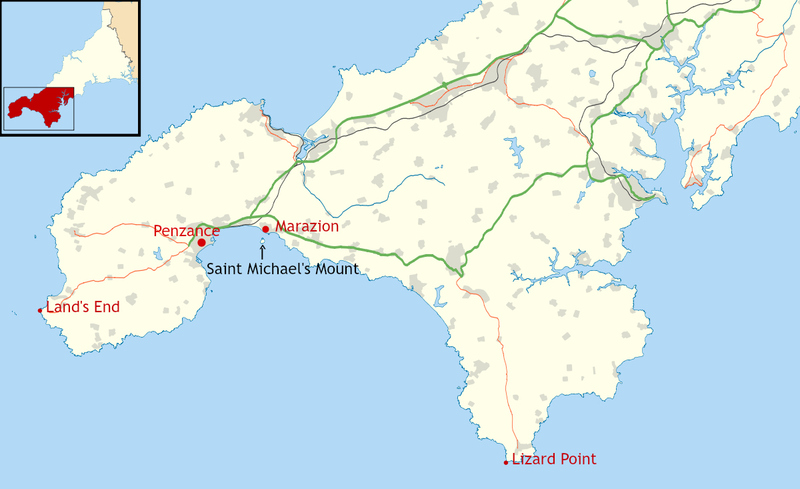 I know… I remember reading your post and it made me want to visit Cornwall again, especially as I’d never been to St Michael’s Mount! The gardens are closed for part of the year so your visit must have fallen during that time. The gardens were lovely in June last year (not sure about this year if the awful weather at the moment continues!). We were just lucky with the tide. We hadn’t checked on times and would have used the boat if need be. Your photos are magnificent. We need to plan about six months in England and include some of the places you highlight. 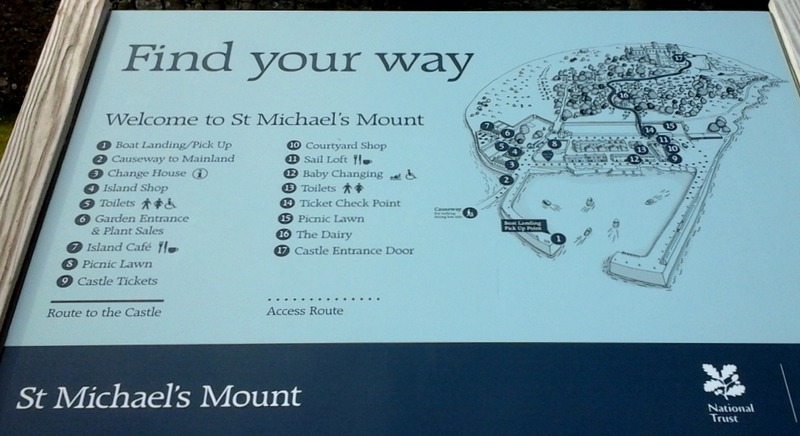 I think St Michael’s Mount might shoot to the top of the list. Thanks, Peggy. If you manage to get to England, I’d say you really can’t go wrong with Cornwall – if it doesn’t rain every day. It might be a little warmer than further north but, being where it is on the west and totally exposed to the rain carried in across the Atlantic, even summers can be rainy. We were lucky last year and had a lovely week. (Don’t forget to meet up with Ali if you get to Cornwall. He’s a lovely man.) St Michael’s Mount is a great place and it’s well worth the trek up to the top, if only for the views. I’m enjoying your tour of Northern Europe at the moment, although I know I’ve some catching up to do. It is a very special place, although, as a non-Cornish person, I could class so many of your fabulous sites as ‘special’! 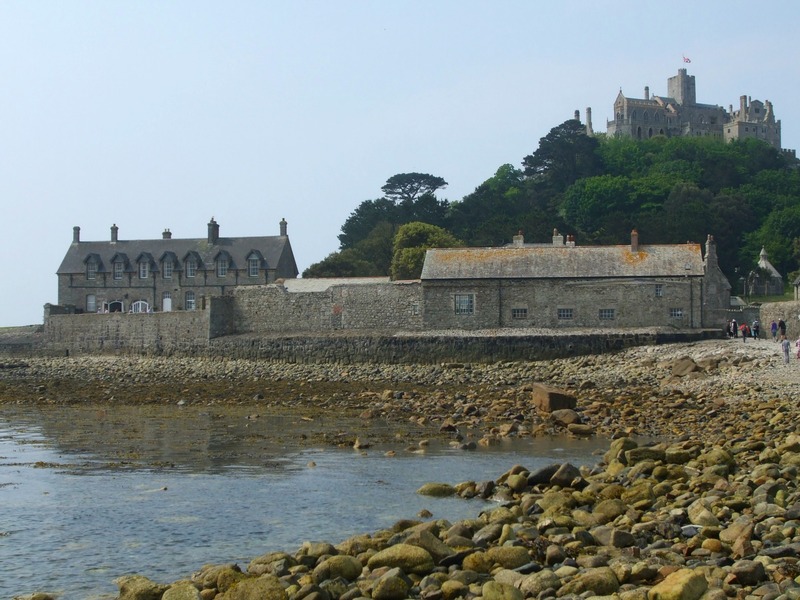 St Michael’s Mount has a fascinating history, too. Your county amazes me and I can understand why you love it so much. thank you for another great tour! !